Other than showing up and checking out a piece of property, drone shots are the second best way for potential buyers to look at a house. They add a certain stunning perspective to photos that is hard to capture with traditional ground-level pictures and videos. They can go a long way to highlight the scale and beauty of a house as well as its features. In fact, according to statistics, listings that Incorporated aerial images sold 68% faster compared to those with standard photos. Today’s article is a short guide for beginners looking to get the perfect drone shots. After reading this, you’ll be able to plan your shooting sessions effectively and produce shots that your clients will love (and pay you well for). 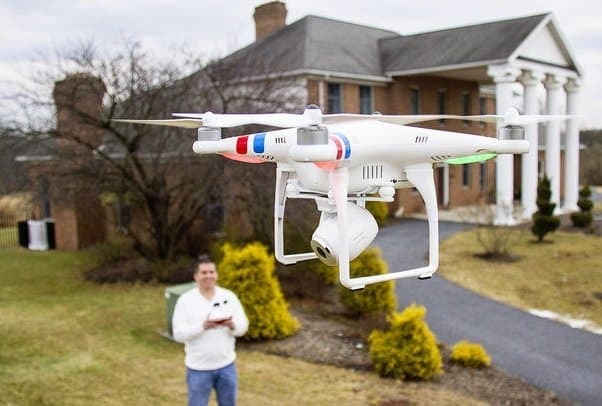 If you want more tips plus recommendations for the best camera drones, read our in-depth guide on using drones for real estate marketing. Note: You need Part 107 certification before you get started as a drone real estate photographer. 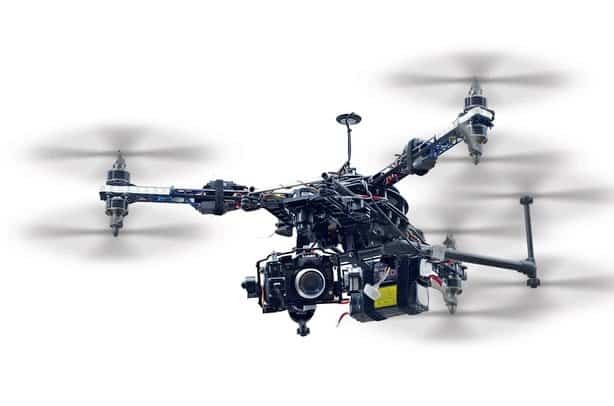 This allows you to commercially produce (photograph and sell) aerial drone photos. You always want to be prepared and to have a plan in mind when it comes to drone shoots. Which shots do you want to take? What time frame do you have? Are there any special features of the house you have to shoot? What will the weather be like on that day? …and so on. You don’t want to show up on the day and have it raining the entire time or have it so windy you can’t keep your drone steady. If you can, pick a sunny or mildly cloudy day for the best results with your photos. Also arrange with the property owner or manager to have the landscape looking its best. A manicured garden and a clean lawn are essential for good shots. You also want to avoid having any gardening equipment, toys and other odds and ends lying around. Don’t forget to check that your drone is ready for the big day. Make sure you have spare batteries, the camera is working properly, the remote controller is good to go and you have a memory card with enough capacity. Natural lighting is always best for capturing photos. The house and various features like the pool and lawn will look better. Here are some more tips for choosing the best time of the day. Top down photos are best taken at noon to avoid shadows getting cast on the house. Choose specific times of the day to create a more aesthetic appeal in your photos. Some houses will look magnificent in the morning due to the golden light and to the dew glistening off the grass. Others could make use of the sunset as a beautiful backdrop. Finally, if you choose to shoot in the early morning or late afternoon, watch out for the drones shadow. It can ruin your shots. Experiment with different angles and find what works best for a given property. There are a few generic angle formulas that work great in most situations and there are some you should definitely avoid. For instance, you should avoid taking top down shots because they don’t highlight a house well. They make the house look two-dimensional. That being said, they can be used if they aren’t the main shots in your image collection or there is a specific feature that can only be viewed from that perspective (e.g. Solar panels on the roof). Also avoid flying the drone too high. You’ll want to fly close and get unique perspectives. Flying too high greatly diminishes this and makes the house tiny and hard to see or it can show too much of the roof and too little of the house. But you can still take far-off shots if you want to show off a wider view of the property. For example if it’s surrounded by a farm or you want to capture the surrounding landscape or neighborhood. The easiest way to learn and get good at something is simply by copying the best. 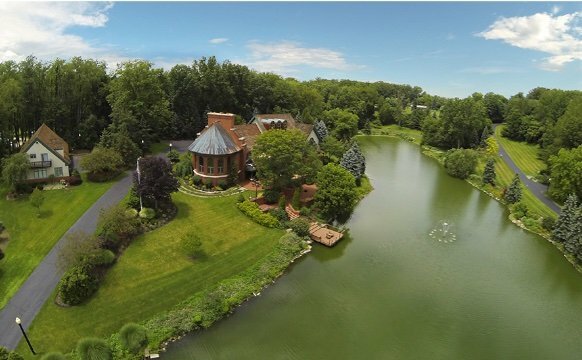 Check out home listings and look for those with aerial photos. Note down any shots you liked and what you liked about them. Then try to recreate them in your own shoots. There are also some good videos on YouTube like this one that will give you some great tips on using drones for real estate photography. If you want get really good, consider taking an online course like this one from Udemy. Didn’t get the lighting right? Don’t think the colors look vibrant enough? Not to worry. You can still play around with the images and edit the lighting, colors and shadows to get them just the way you want. This can be done on editing programs like Adobe Premiere Pro and Lightroom to name a few. These programs allow you to play with the white balance, highlights, shadows and even allow you to make some colors stronger than others.